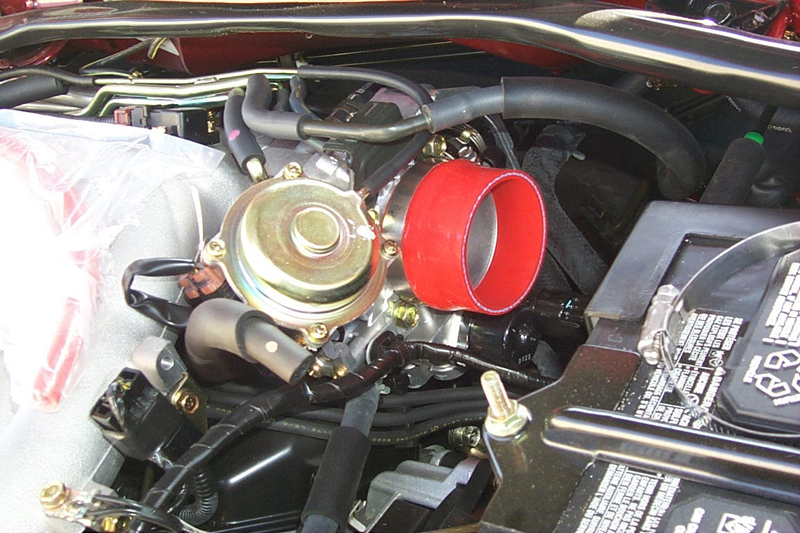 The Injen "Cool Air" intake is necessary for Eclipses equipped with the SporTronic transmission. The automatic transmissions are much larger and the shifting mechanism gets in the way of any filter or piping that would sit up higher. It can also be used on the 5 speed cars as an option. Click on any pic for a full size image. All the stock parts are removed. The Air box, the bracket, and the intake pipe. We had to free up some of the wire harness that runs to the air flow meter. This allowed it to reach more easily down to where the air flow meter will sit. 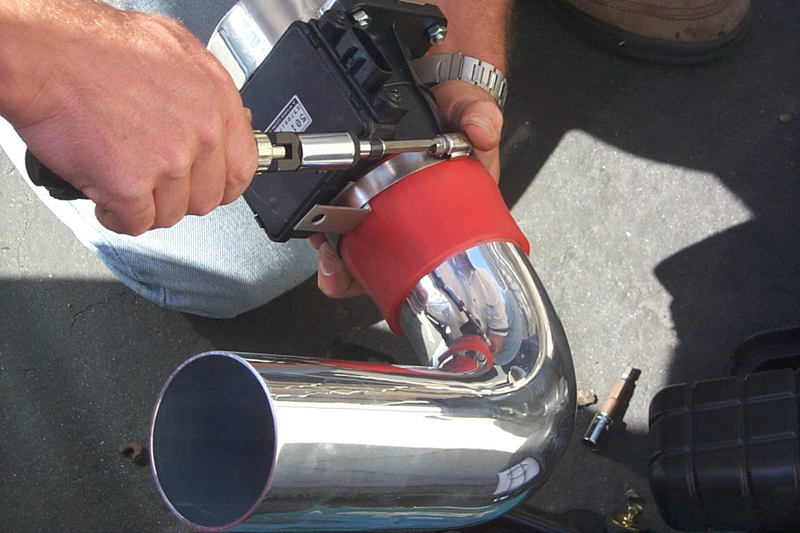 Pre assembling the adapter and pipe to the air flow meter. 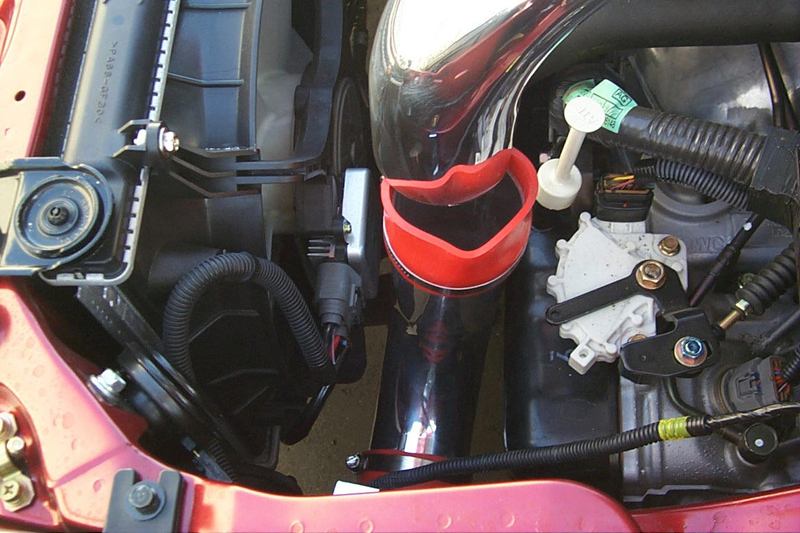 Note the location of the 90 degree bracket that slips under the hose clamp. The long 90 degree bracket is then bolted to the short bracket. The air flow meter sits so that the plug and box part are at the top. 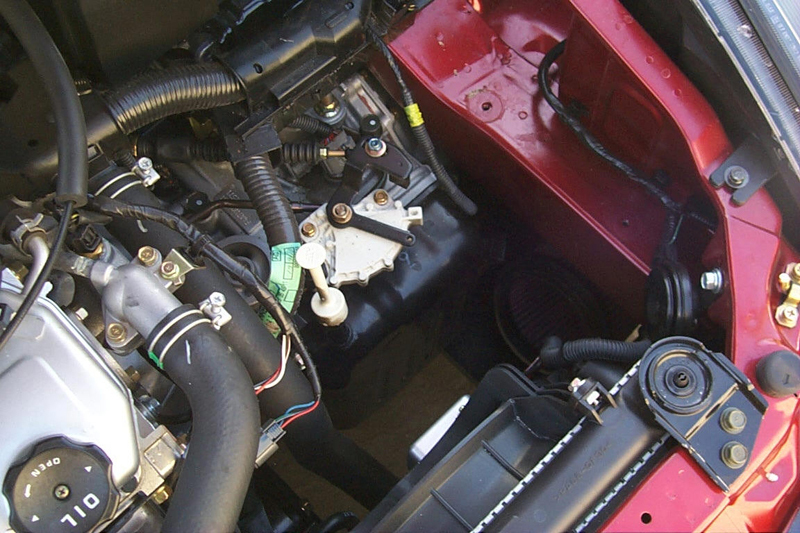 We slipped the whole assembly down into the hole with the air filter not yet installed. We left the radiator fan on but it would have been easier to slip it down in there with the fan off. 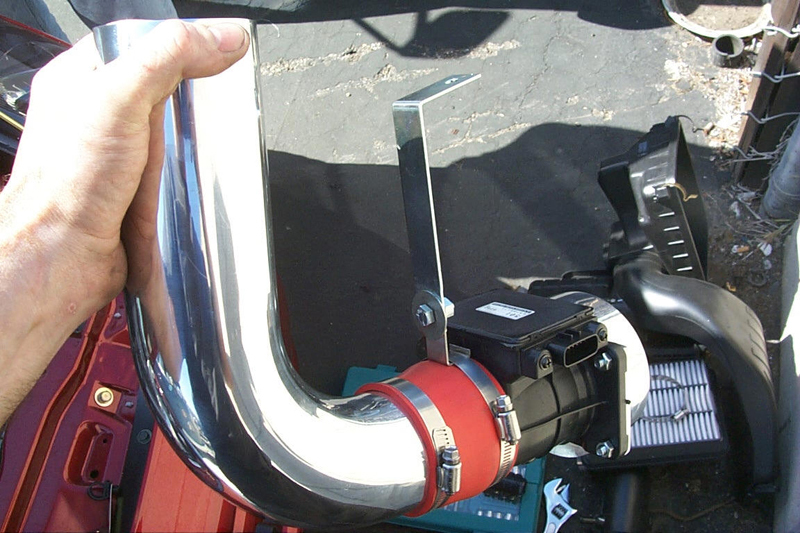 We slid the filter onto the adapter after the pipe was in place and then tightened the clamp. 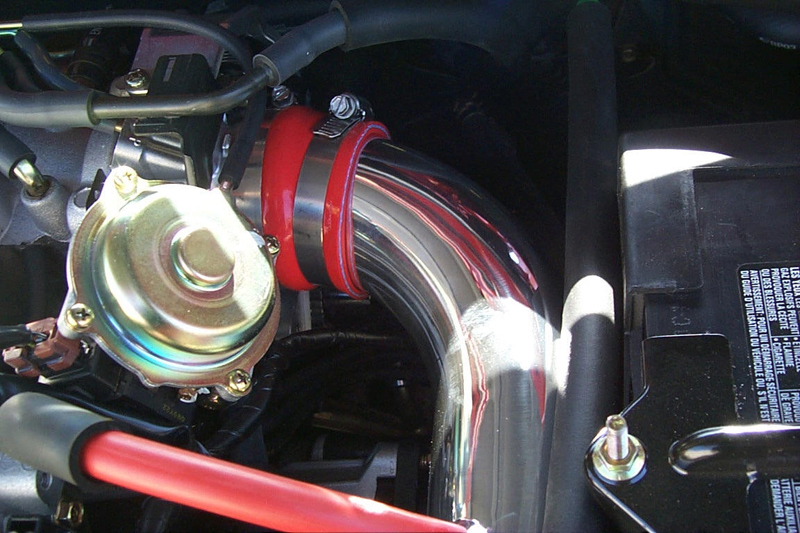 Put the hose onto the throttle body. 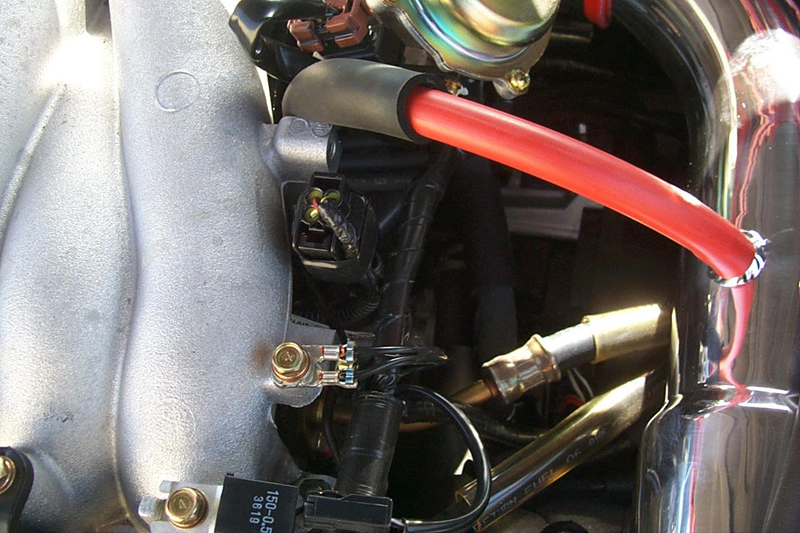 The pipe is clamped into the hose connector. 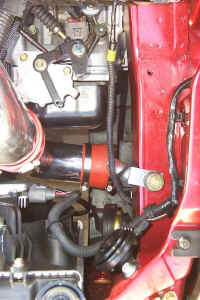 Fit the two pipes together with the other hose connector. Looking down on the pipe and bracket as it is installed. 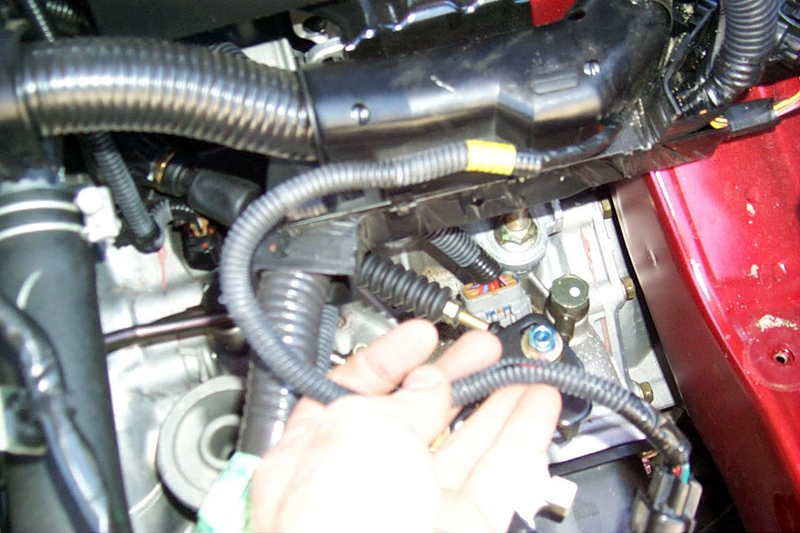 Install the hose for the breather. A view of where the filter sits. 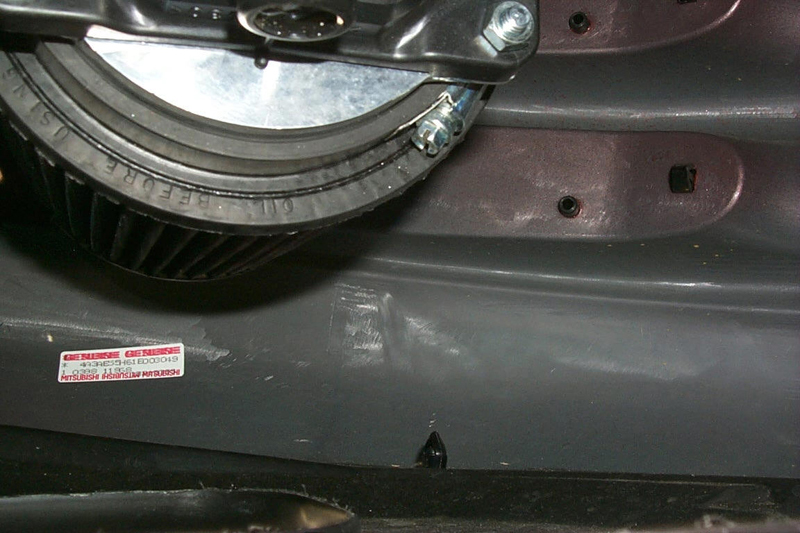 It is right behind the fake grill slits on the corner of the bumper. Yes it sits low, but that is where the cool air is. Water is a concern but should not be a problem. DO NOT go wading through flooded intersections. Water spray form driving in the rain wont be a problem. There are splash shields to protect from water thrown up from the road. Some moisture will not affect the filter or air flow meter.